As if the recent near miss by an asteroid and the actual impact in Russia were not enough, we have even more to worry about. Asteroids may be deflected. We could conceivably colonize other planets if something were to happen to the Earth, but what could we possibly do if the whole universe is destroyed? Yet that is a terrifying possibility, if the latest theories on the higgs boson turn out to be true. The higgs boson is believed to be the reason why matter has mass in the universe, and it would seem that the higgs boson is just the right mass to make the entire universe unstable, causing it all to destroy itself. I read the story at yahoo news. A subatomic particle discovered last year that may be the long-sought Higgs boson might doom our universe to an unfortunate end, researchers say. The mass of the particle, which was uncovered at the world’s largest particle accelerator — the Large Hadron Collider (LHC) in Geneva — is a key ingredient in a calculation that portends the future of space and time. “This calculation tells you that many tens of billions of years from now there’ll be a catastrophe,” Joseph Lykken, a theoretical physicist at the Fermi National Accelerator Laboratory in Batavia, Ill., said Monday (Feb. 18) here at the annual meeting of the American Association for the Advancement of Science. The Higgs boson particle is a manifestation of an energy field pervading the universe called the Higgs field, which is thought to explain why particles have mass. After searching for decades for proof that this field and particle existed, physicists at the LHC announced in July 2012 that they’d discovered a new particle whose properties strongly suggest it is the Higgs boson. For example, the mass of the new particle is about 126 billion electron volts, or about 126 times the mass of the proton. If that particle really is the Higgs, its mass turns out to be just about what’s needed to make the universe fundamentally unstable, in a way that would cause it to end catastrophically in the far future. That’s because the Higgs field is thought to be everywhere, so it affects the vacuum of empty space-time in the universe. Strikingly, if the Higgs mass were just a few percent different, the universe wouldn’t be doomed, the scientists said. Oh, tens of billions of years from now. Well, maybe I won’t worry too much about it after all. 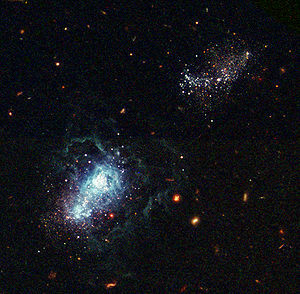 The End Is Nigh Billions of Years Away: Higgs Discovery Might Suggest Universe is Finite (geekosystem.com) Repent for the end is near!!! But were afraid you wouldn’t understand the answers if you asked. 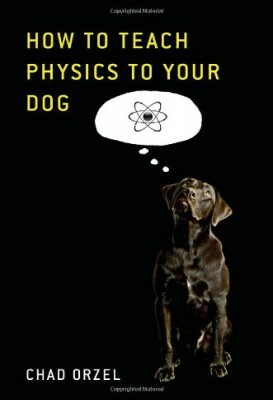 If you have questions about quantum physics but have been looking for a book that will actually explain the subject, than look no farther. Kenneth W. Ford answers 101 questions about questions about the strange world of the very small. As a former director of the American Institute of Physics and one who has worked with many of the giants of twentieth and twenty-first physics, Ford has the knowledge and ability to explain the often difficult to understand and even seemingly nonsensical aspects of quantum physics. The only fault with this book is that in the kindle edition, several of the illustrations are missing. These are largely photographs of scientists and for the most part, illustrations necessary for explanations. 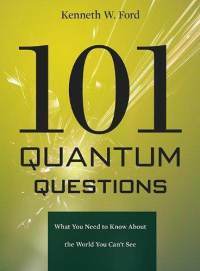 Other than this lack, 101 Quantum Questions is worth reading. 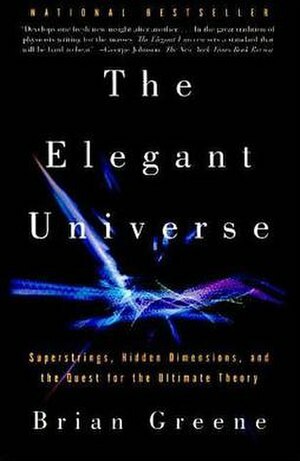 Brian Greene’s “The Elegant Universe” is a useful introduction to the subject of string theory and the state of modern physics. I found it interesting and informative, with some reservations. For one thing, I do not share Greene’s enthusiasm for string theory. No matter how elegant the various forms of string theory may seem to the physicist, the simple fact is that there is no experimental proof for any of it nor is any forthcoming at our present level of technology. 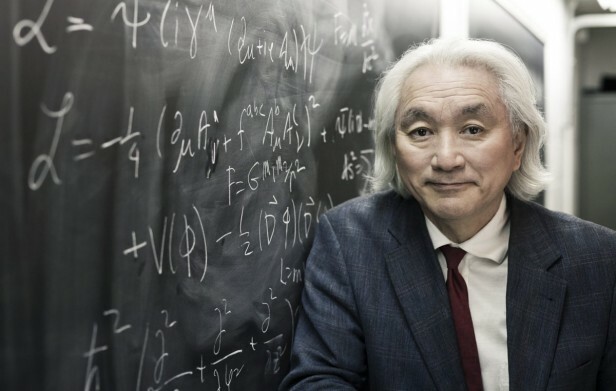 In fact, to the best of my (limited) knowledge, I am not sure that string theory offers any testable predictions or explanations of physical phenomena that cannot also e explained with other theories. Brian Greene generally does a good job of explaining but parts of The Elegant Universe were a little difficult to get through, probably more because of the extreme opaqueness of the subject, and not to any lack of skill of the author. The last several chapters, however, seemed to be increasingly esoteric as Greene used string theory to explore such subjects as the interiors of black holes and the very beginning if the universe, and before. Overall, I would recommend this book, but not wholeheartedly. From Yahoo News. This is really interesting. It seems that an Australian university student, Amelia Frazier-McKelvie has discovered where the “missing mass” of the universe went while on an internship with Monash University‘s School of Physics. Apparently it i to be found in the “filaments” of galaxies. Monash astrophysicist Dr Kevin Pimbblet explained that scientists had previously detected matter that was present in the early history of the universe but that could not now be located. “There is missing mass, ordinary mass not dark mass … It’s missing to the present day,” Pimbblet told AFP. Fraser-McKelvie, an aerospace engineering and science student, was able to confirm after a targeted X-ray search for the mystery mass that it had moved to the “filaments of galaxies”, which stretch across enormous expanses of space. As I said, I find this interesting and I hope to find out more details. There should be more news about this kind of stuff on the front page. But instead of this great story, we have stuff about how Justin Bieber got two tattoos. What is wrong with us as a nation? What indeed? I can’t imagine why anyone would care about Justin Bieber’s tattoos. In fact, I barely know who Justin Bieber is. British scientist Stephen Hawking has branded heaven a “fairy story” for people afraid of the dark, in his latest dismissal of the concepts underpinning the world’s religions. The author of 1988 international best-seller “A Brief History of Time” said in an interview with The Guardian published on Monday that his views were partly influenced by his battle with motor neurone disease. 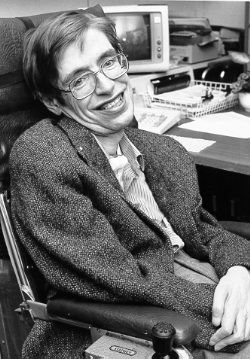 Stephen Hawking is a great scientist and if I had any questions about Cosmology or Physics I would defer to his greater knowledge and expertise. On this subject, however, he is not an expert. Hawking has a right to his opinion, of course, but I wonder that his opinion on a subject out of his area should be regarded with the same respect as opinions about Physics. It occurs to be that the computer may stop working, but the part that makes us “us” is the software, which can be copied by its Programmer and installed in a new and better computer. Here’s something incredible from the world of science. The controversial rumor is based on what appears to be a leaked internal note from physicists at the Large Hadron Collider (LHC), a 17-mile-long particle accelerator near Geneva, Switzerland. It’s not entirely clear at this point if the memo is authentic, or what the data it refers to might mean — but the note already has researchers talking. The Higgs boson is believed to be what gives matter its mass. It is the only elementary particle of the Standard Model which has not been detected yet, because it is so massive. Physicists are hoping that the Large Hadron Collider will be able to detect it. If this rumor is true than they have succeeded. One thing though, I don’t much care for the habit of referring to the Higgs Boson as the “God Particle”. It seems somehow disrespectful.